David France has spent much of his adult life preserving, sharing and celebrating the defining moments of LGBT history. His seminal 2012 documentary about the US Aids epidemic, How To Survive A Plague, picked up awards at film festivals across the globe, including a Sundance, Emmy and Oscar nomination for its insightful, heart-rending depiction of the resilience of the queer community during an epidemic that would claim the lives of tens of thousands of men and women by the end of the 80s. His latest feature, a Netflix Original, chronicles the extraordinary life and death of the ‘Rosa Parks of the LGBT movement,’ veteran of the Stonewall riots, muse to Andy Warhol and founder of the first trans-rights organisation, Marsha P Johnson. Revisiting a case he first looked into while working as a reporter at the Village Voice, France catalogues the chain of events that led to Marsha’s being found floating dead in the Hudson River in the summer of 1992. 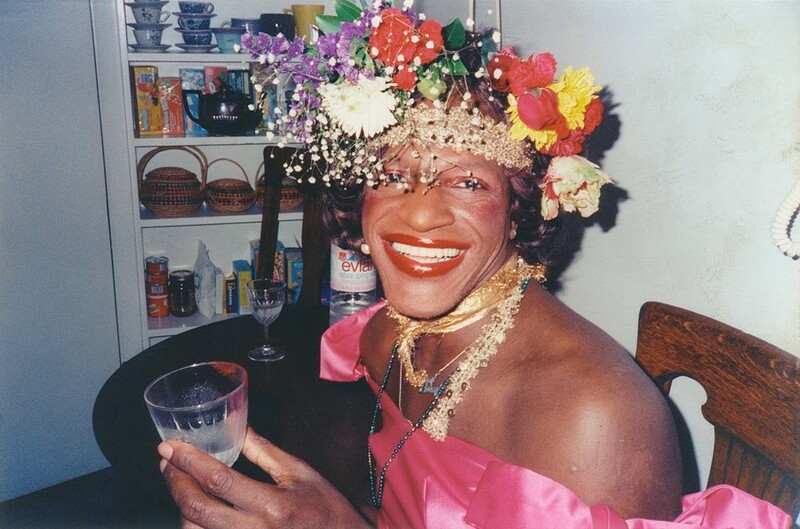 With unprecedented access to Marsha’s closest friends, family and contemporaries – including STAR co-founder and fellow gay power pioneer Sylvia Rivera – alongside previously unseen archival footage, The Death And Life Of Marsha P. Johnson packages an important historical account of one of the LGBT community’s greatest icons as a gripping noir thriller. As we continue to navigate the push-and-pull of LGBT culture being commodified – on the one hand raising awareness and promoting support for the queer community, on the other, having our culture co-opted for commercial gain without meaningful support for our values – France’s latest feature reaches across social, economic, racial and generational divides to celebrate our community’s cultural icons. Ahead of the film’s release this October, we sat down with the man himself to find out more about why Marsha’s message is as important now as it’s ever been. David France: It tells the origin story of the transgender movement, framed as a film noir whodunit. 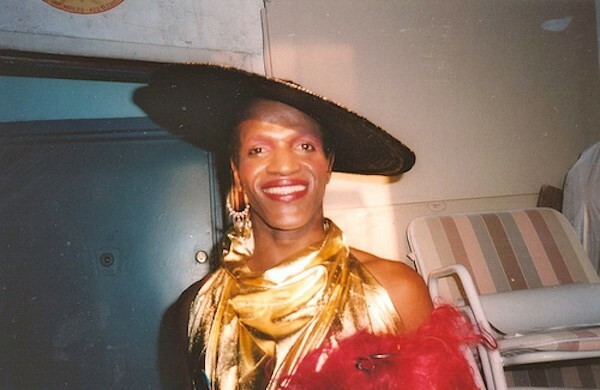 We look into the life and death of Marsha P Johnson, a seminal figure in New York for many decades until her untimely death in 1992, and the founder of the first trans-rights organisation. Her death went uninvestigated at the time but this film follows a new investigation into what might have happened to her. Following Marsha’s story, in turn, highlights the epidemic of violence against trans-women of colour today. Why did you turn to true crime to tell this story? David France: It’s a story about New York from 25 years ago, during a period of intense and uncontrolled violence against the LGBT community. The archival footage is so suggestive of a dark, urban, gritty story, that it lends itself perfectly to those kinds of genres. Did you consciously use this sort of packaging to bring an LGBT story to a wider audience? David France: I absolutely believe that the way we’ve framed the story opens it up to a more general audience. It’s an intense puzzle that we’re trying to unpack, an old cold case we’re trying to solve. In that way it appeals to a general film goer in a way that it wouldn’t if you said ‘this is going to be a history lesson about what happened in the trans-movement’. We’ve hidden the history inside this intense and exciting investigation. You first began investigating the story in 1992. What is it about Marsha that kept you pursuing the case all these years? David France: I was an investigative reporter at the Village Voice at the time of Marsha’s death. My main beat was investigating the HIV/Aids epidemic that had been unchecked at that point for more than a decade. When Marsha died, I tried to determine what happened to her. I began looking into it then, but Aids overtook me any my reporting for the rest of the year and subsequent years, so it really is a 25 year hiatus into my original investigation. Did it feel cathartic returning to it? Finishing off what you’d started all those years ago? David France: It certainly felt like unfinished business. Having not done the story myself no one did it. The city was too ready to walk away from her at a time of mass death in New York. People were dying of HIV left and right, there was very little bandwidth left so people couldn’t make sense of Marsha’s passing. I definitely felt a sense of responsibility, having abandoned the story at the time. Returning to it felt freeing in a way, I was finally discharging my obligation to Marsha even if it doesn’t feel finished just yet. As with any case that remains unsolved you want to bring someone to justice but the most important thing I learned whilst making the film is that more than one individual can be responsible, there were institutional failures across the board, and those failures persist today. The political work that was necessary in 1992 is still very necessary today. Trans people aren’t getting the protection they deserve, they’re not getting the incorporation into civic life they deserve. Bias and prejudice against the trans community is just as present today as it was then. We have to look at the tapestry in which these crimes develop. Your work, like Eric Marcus’, codifies these moments in LGBT history. Just like your first film, How To Survive A Plague, this documentary catalogues an important moment and important figures in LGBT history. Is that a conscious goal of yours? David France: I want to take the stories of seminal and transformative figures from the LGBT community and canonise them the way leaders from other communities have been celebrated. To date there has been a glass ceiling for queers. Our stories are seen as stories for us, as opposed to universal stories about how we’ve changed culture and activism for the community at large. 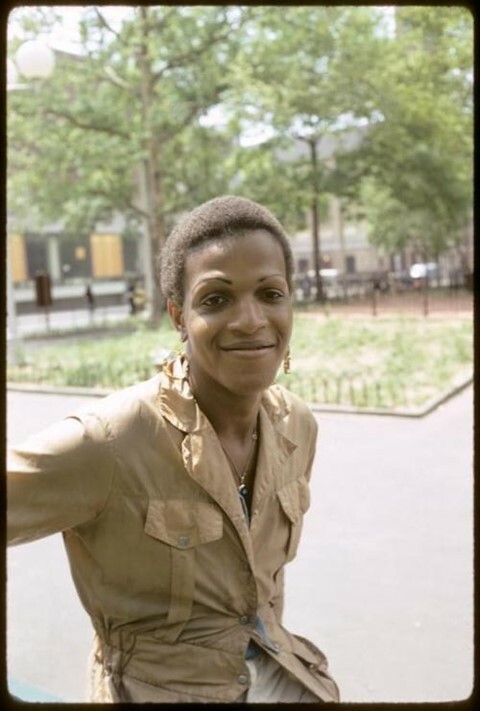 Marsha Johnson is a key figure in the LGBT movement, but she also set into motion a series of cultural and social changes that everybody feels today - not just across New York and the US but around the world. She led the way in reimagining gender, gender roles and gender identity and we’re now seeing her work expressed in culture everywhere today. Do you think LGBT history is being commodified by culture in some ways? David France: It’s interesting to think about. Queer millennials don’t always have the opportunities they need - speaking generally - to study their heroes or to study the people that came before them. We haven’t done a great job of creating a historical record to pass along these stories and I think in some ways that needs to be rectified. Young people need to know about their shared past. What I’m doing, and a handful of other people are trying to do, is package that history in a way that allows it to be shared, understood and celebrated. I do try to bury the history lesson, I don’t want anyone thinking they’re taking medicine! But at the same time, I want them to feel inspiration and power from the people that came before them. These are people who have overcome tremendous obstacles to one degree or another, leaving lasting marks on culture at large at great personal cost. One of Marsha’s closest friends Sylvia Rivera features prominently in the documentary. Her work, her love for and struggles with the gay community at large forms a central part of our history. In that regard, is this as much Sylvia’s story as it is Marsha’s? David France: Absolutely. They were a team. It’s really a love story, like any Hollywood love story there’s incredible pain and tragedy. Sylvia never recovered from Marsha’s death, and it hastened her own death. She was broken hearted. She went to the grave with her Marsha pin on her chest, still demanding attention for her case. She takes up more screen time than Marsh does. So much of her life after Marsha’s death was driven by her campaign for people to reinvestigate. Sylvia’s 1973 Gay Power speech is so incredibly moving to watch, yet now we’re hearing murmurs for the T to be decoupled from LGB. Why do you think that is? And how does it make you feel? David France: It’s just a crazy speech isn’t it. For a woman of her background to take to the stage in front of a sea of people and call them out, so eloquently. I’ve not been following those debates too closely. In my opinion the T has always been a key component of the queer movement. We see that from the first hours of the movement, the trans community were there on the front line, fighting for the same things. In a way they’ve been sacrificed, and that’s a terrible injustice to allow that to continue. What do you want the documentary to achieve? What do you want people to take away from it? David France: The first and key thing is to recognise the huge cultural shift that was put into play by these two visionary trans women from the 60s and early 70s. To give them their due as the first people to conceptualise the idea that transgender people have a unique community (within the broader LGBT community), a unique set of cultural affinities and a unique and shared purpose. So many people at the time thought what they were talking about made no sense. We see today that their ideas are coming to fruition, the ideas of two marginalised and self-made activists. I want to applaud them for that. The second thing I want people to acknowledge is that we still have these social, cultural and political problem across the globe. We’re no better at ensuring basic safety for trans people, especially trans women of colour, than we were in the 60s and 70s and we have an obligation collectively to do something about that. The Death And Life Of Marsha P Johnson premiers on Netflix on 6th October.